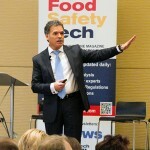 Architect the Perfect Food Safety Team: Does Your Next Food Safety or Quality Team Member Even Exist? There’s no such thing as the perfect hire, but there is a “perfect hire for you”. As a food safety leader, you’re accountable for keeping the company in line with regulations and ensuring consumer trust, yet you’re constantly asked to “do more with less”. In an environment with such a thin margin for error, it’s imperative to have a seamless, friction free, fast but effective recruitment process. As a food safety leader, you want to move the needle towards more proactive measures to optimize systems, develop more robust risk management systems and above all else get everyone in the company singing the same song when it comes to a food safety “culture”. Our three-part series on architecting the perfect food safety team will show you the components of a hiring and recruitment methodology that you can champion to your internal recruitment team, a third-party recruiter you trust, or you yourself. Our first of three articles will focus on the IDENTIFICATION step, where, based on your job description, your compensation plan and your skill set requirements, you’ll be able to quantify the size of your candidate pool locally, regionally and nationally fast. This is really important. Most companies don’t do this. Internal recruitment teams aren’t optimized to do a deep dive on each job profile, whether it’s a Food Safety Specialist or a VP of Food Safety. The gap is exacerbated in food safety and quality due to the significant uptick in expertise required to execute on all the requirements that today’s food safety climate requires. Many roles that historically required only “attention to detail” and “Microsoft Excel skills” now require a microbiology or chemistry degree as well as subject matter expertise with quality management and ERP systems. 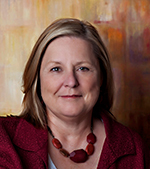 Unfortunately, your internal talent acquisition team will find it next to impossible to tell you how many SQF-certified QA managers with experience in a manufacturing setting with a Bachelors degree that reside within 30 miles of each plant in your network, much less be in a position to effectively contact and recruit them quickly. You have to know where your future team members are today—either through internal means (your talent acquisition team) or externally(a recruitment firm)….and you can’t wait until you’ve had an unexpected resignation. It’s like burying a fire extinguisher in your closet and not remembering where it is–if everyone in the house doesn’t know where it is, it hasn’t been tested, and it’s not located in the optimal place, it will serve no purpose when it’s an emergency. At a recruitment firm approaching the food safety talent ecosystem and executing a search is done in much the same manner as how you develop your company’s HACCP plan. What threats and hazards are we trying to avoid? What are we trying to achieve with our plan? What does a fully executed plan entail? Safe food and….. Similarly, we start a search with a role’s “intent” fully defined. What is the first area of focus this person will tackle? What problem(s) will they be tasked with solving? What will this person’s area of focus look like after a year(best case)? It’s an oft-overlooked step because most of our hiring managers are so busy they end up using the same cut-and-paste job description that’s been used for the last 10 years. With the end result in mind, you now have a clearer picture of what you’re looking for in your new hire rather than a stale, generic job description which, oh by the way, every other company is looking for. With a clear picture of who you’re looking for and the end results you’re looking for, the next crucial step in the IDENTIFY stage is determining to what degree that candidate exists and is available in the market. If you create a “wish list” in a vacuum without determining how many people actually have those criteria, it’s equivalent to developing a HACCP plan without validating it. How do you validate a HACCP plan? You test it. You challenge the thresholds. That takes time, sure, but at the end of the testing, you know where the Critical Control Points are( room for improvement), you know better what absolutely needs to be changed (Corrective Action). 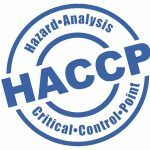 How you validate your HACCP plan is similar to how we provide our clients with data that reflects the feasibility their expectations – from there, we chip around the edges of the requirements until we have a large enough candidate pool from which we can effectively execute a recruitment strategy. Each of the four-above criteria is a “limiter” of some sort—as you work through the list and add a requirement or a “must have”, the candidate pool decreases. That limiter might be forced on food safety or the quality department because of budget restrictions or it may be your choice altogether. Regardless, you’ve set the parameter and now it needs to be tested. Weeks and months can be lost if the search is executed without first knowing how many candidates actually have these skills locally. You know how it feels when Marketing calls you in to test a new innovation for a product launch, three months into the gig? How within minutes of showing up at the trial you realize that production and quality will be compromised? How you wish they would have involved you from the start so you could have saved them, the company and your team all the headaches, time and money by offering an alternative? If only they would have asked you sooner?!?! It’s the same with a search for a candidate with a particular set of skills and/or experience that doesn’t actually exist. Well, the optimal strategy is to know every single food safety / quality candidate in the local market and/or nationally (especially if your category has more stringent needs like Dairy, Brewing, etc.) and to nurture them on an ongoing basis. You’ve done the work up front to assess and determine the caliber of the local candidate pool – since you’re already in rapport with the target candidate base, the turn-around time when you’re in a pinch is significantly shorter. When a client asks us for the requirement we outlined above, we deliver an audit of that expectation within 48 hours, letting them know if that person actually exists and how many of them. No time is lost. We have countless examples in the last year of alerting our client that two, yes two QA director candidates have the “must have” skills locally they are requesting, and neither is interested. We get clients to that point of discovery within hours, with tangible real-live data(not opinions), where they can then reassess their requirements and expand their candidate pool. It’s a healthy conversation when it’s done early and up front— it results in less spinning of wheels and more productive dialogue around working within capabilities and restraints. So do that—get your talent acquisition partner and talk to them specifically about your wish list, and have them come back to you with tangible numbers that validate whether or not what you’re asking for is reasonable. Once you’ve done that and have a large enough pool of candidates to whom you can market the opportunity, you’ll be operating from a position of strength when it comes time to ASSESS the candidates who are brought forward. We’ll dive into more about the ASSESS step in Part two of our three-part series. 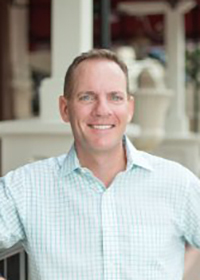 Bob Pudlock is the president of Gulf Stream Search, an executive search firm that specializes in the placement of top quality and food safety talent in the food, beverage, ingredient and flavor industries in the United States. Pudlock has worked with start-ups, suppliers, and large CPG companies to help them identify high-impact talent since 2001. In addition to leading search engagements with executive teams, he also crafts the long-term strategies that keep Gulf Stream Search as the go-to search firm for companies in the food, beverage, ingredient and flavor space.